Just Love You Lyrics – Diljott: Here we are presented new song, which is sung by Diljott. The music is given by Daljit Singh whereas lyrics are written by Diljott. Lokdhun Punjabi has given the label for this. Fashion Lyrics – Karan Sehmbi | Sakshi Malik: This is a wonderful song in the voice of Karan Sehmbi. The music is the composed by Rox A while lyrics are drawn up by Kavvy & Riyaaz. Moti Punn Lyrics – Tanishq Kaur: This is a wonderful song by Tanishq Kaur. The musician is MixSingh while lyrics are written by Jung Sandhu. checkout the full songs & video here with its full lyrics. Reejh Lyrics – Robby Atwal: Reejh is a new song, which is sung by Robby Atwal. Its lyrics are written by Sukh Soosan Wala while music is given by Money On The Beat. 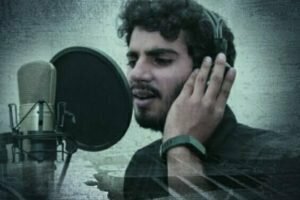 Thug Ranjha Lyrics – Akasa Singh: This is a new song by Akasa Singh. The musician is Vayu while lyrics are written by Vayu. Zindagi Naal Pyar Lyrics – Sidhu Moose Wala: It is a wonderful song which is sung by Sidhu Moose Wala. Its music is created by Byg Byrd while lyrics are written by Sidhu Moose Wala. Heeriye Lyrics – Race 3 | Salman Khan: We are presented here wonderful song in the voice of Deep Money & Neha Bhasin. Its music is given by Meet Bros while lyrics are written by Kumaar. Tattoo Lyrics – Elly Mangat | Punjabi : Tattoo is a new song, which is sung by Elly Mangat. Its music ia given by Game Changerz while lyrics are written by Vadda Grewal. Tochan Lyrics -Sidhu Moosewala: Tochan is a new song by Sidhu Moosewala. The musician is Byg Byrd while lyrics are written by Sidhu Moosewala.